Comment: The entire house and trim were painted in 2012 or 2013. Now I know of 1 area on the back porch soffit/fascia that needs to be repaired and the back steps & railing need paint; with the stairs maybe sanding. But I'd like a price for fixing these areas and also for painting all trim maybe the 2 porches. I would also like your thoughts on pressure washing the entire house. Comment: would like to replace front entry door which currently has a single door with side lights and an elyptical window over the door. on the exterior (stucco) the door and sidelights is also "Framed/Trimmed" with an extruded stucco dÃ©cor. I would like to replace the entire entry door with a DOUBLE ENTRY door and no sidelights and no eliptical or possible eliptical but have no idea of cost to re-do exterior stucco trim around door. Comment: I have two exterior columns that I know need work, at least one I know needs to be replaced. There are several other trim places on the house that also need to be replaced. and painted. I also interested in replacing the gutters. Comment: Replace existing siding on three sides, front is brick. C & C Home Builders, Inc.
Woodstock Siding Contractors are rated 4.69 out of 5 based on 1,537 reviews of 48 pros. 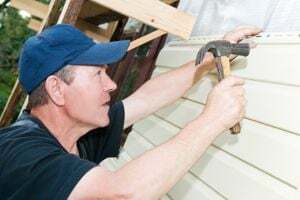 Not Looking for Siding Contractors in Woodstock, GA?